Black Half Round is the most enduring and popular colour choice of all gutter systems, as it works well against all types of roof finishes and housing styles, from small terraced properties to large glamorous houses. The shiny gloss finish contrasts boldly with white painted timber or PVC fascias, yet it still manages to look quietly understated against black or woodgrain eaves styles. 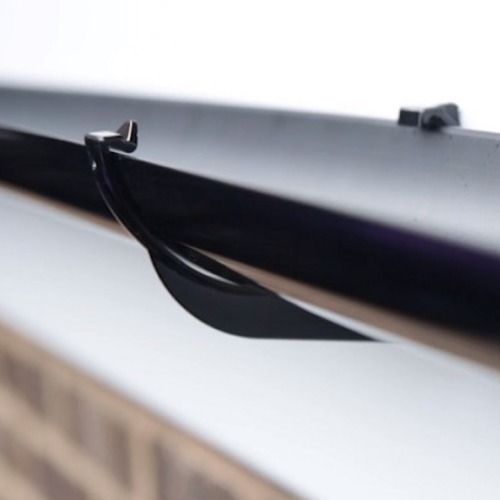 If you are looking for a traditional style of gutter that requires little maintenance, Professional Building Supplies Black Half Round Gutter from Floplast ticks all the right boxes. Want some advice on how to install your Half Round Gutters, or interested in finding out more about our product range, take a look at our guides & tips. Buying New Gutters? Be Sure You Read This First! How Far Apart Should Fascia Brackets Be Fixed? Do I Need A Fascia Bracket On Either Side Of A Fitting? 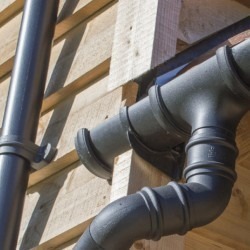 Which Gutter Adaptor Do I Need? 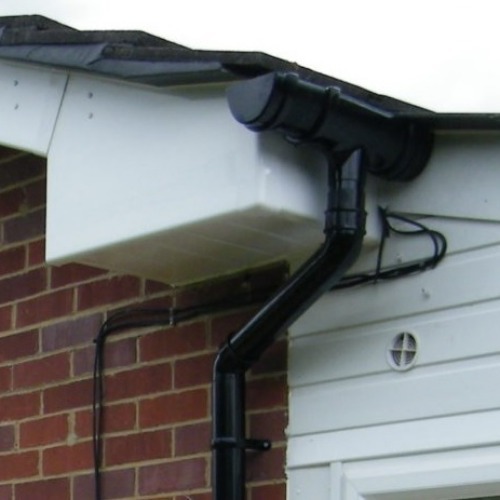 How Does The Downpipe Connect To The Guttering? Do I Need To Use Silicon Sealant On Normal PVC Gutter Joints?